Camille Pissarro paintings, biography, and quotes. Camille Pissarro was born at Charlotte Amalie in the Danish West Indies (since 1917 the US Virgin Islands), a colony in the Danish Colonial Empire. His parents were Abraham Gabriel Pissarro, a Portuguese Sephardic Jew, and Rachel Manzano-Pomie, from the Dominican Republic. Pissarro lived in St. Thomas until age 12, when he went to a boarding school in Paris. He returned to St. Thomas, where he drew in his free time. Pissarro was attracted to anarchism, an attraction that may have originated during his years in St. Thomas. In 1849 he met Fritz Melbye a Danish painter who had recently arrived on the islands from Copenhagen where he had trained to become a marine artist under his brother Anton Melbye. Melbye inspired the young Pissarro to take on painting as a full-time profession, and also became his teacher and close friend. In 1852 the two painters travled to Venezuela where they stayed together until 1855 when Pissarro returned to St. Thomas and, the same year, continued to Paris. In Paris he studied at various academic institutions (including the Ecole des Beaux-Arts and Academie Suisse) and under a succession of masters such as Jean-Baptiste-Camille Corot, Gustave Courbet, and Charles-Francois Daubigny. Corot is sometimes considered Pissarro's most important early influence; Pissarro listed himself as Corot's pupil in the catalogues to the 1864 and 1865 Paris Salons. Pissarro married Julie Vellay, a maid in his mother's household. Of their eight children, one died at birth and one daughter died aged nine. The surviving children all painted, and Lucien, the oldest son, became a follower of William Morris. The Franco-Prussian War of 1870-71 compelled Pissarro to flee his home in Louveciennes in September 1870; he returned in June 1871 to find that the house, and along with it many of his early oil paintings, had been destroyed by Prussian soldiers. Initially his family was taken in by a fellow artist in Montfoucault, but by December 1870 they had taken refuge in London and settled at Westow Hill in Upper Norwood (today better known as Crystal Palace). A Blue Plaque now marks the site of the house on the building at 77a Westow Hill. Through the oil paintings Pissarro completed at this time, he records Sydenham and the Norwoods at a time when they were just recently connected by railways, but prior to the expansion of suburbia. One of the largest of these oil paintings is a view of St. Bartholomew's Church at Lawrie Park Avenue, commonly known as The Avenue, Sydenham, in the collection of the London National Gallery. Twelve oil paintings date from his stay in Upper Norwood and are listed and illustrated in the catalogue raisonne prepared jointly by his fifth child Ludovic-Rodolphe Pissarro and Lionello Venturi and published in 1939. These oil paintings include Norwood Under the Snow, and Lordship Lane Station, views of The Crystal Palace relocated from Hyde Park, Dulwich College, Sydenham Hill, All Saints Church, and a lost painting of St. Stephen's Church. Whilst in Upper Norwood Pissarro was introduced to the art dealer Paul Durand-Ruel, who bought two of his 'London' oil paintings. Durand-Ruel subsequently became the most important art dealer of the new school of French Impressionism. Returning to France, in 1890 Pissarro again visited England and painted some ten scenes of central London. He came back again in 1892, painting in Kew Gardens and Kew Green, and also in 1897, when he produced several oils of Bedford Park, Chiswick. For more details of his British visits, see Nicholas Reed, "Camille Pissarro at Crystal Palace" and "Pissarro in West London", published by Lilburne Press. Pissarro painted rural and urban French life, particularly landscapes in and around Pontoise, as well as scenes from Montmartre. His mature work displays an empathy for peasants and laborers, and sometimes evidences his radical political leanings. He was a mentor to Paul Cezanne, Edouard Manet , Pierre-Auguste Renoir, and Paul Gauguin and his example inspired many younger artists, including Californian Impressionist Lucy Bacon. Pissarro's influence on his fellow Impressionists is probably still underestimated; not only did he offer substantial contributions to Impressionist theory, but he also managed to remain on friendly, mutually respectful terms with such difficult personalities as Edgar Degas, Cezanne and Gauguin. Pissarro exhibited at all eight of the Impressionist exhibitions. Moreover, whereas Claude Monet was the most prolific and emblematic practitioner of the Impressionist style, Pissarro was nonetheless a primary developer of Impressionist technique. By the 1880s, Pissarro moved into a Postimpressionist period, returning to some of his earlier themes and exploring new techniques such as pointillism. He forged new friendships with artists including Georges Seurat and Paul Signac, and was an early admirer of Vincent van Gogh. In March 1893, in Paris, Gallery Durand-Ruel organized a major exhibition of 46 of Pissarro's works along with 55 others by Antonio de La Gandara. But while the critics acclaimed Gandara, their appraisal of Pissarro's art was less enthusiastic. 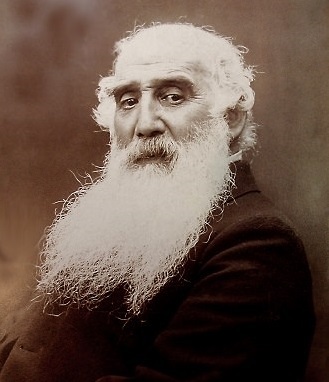 Pissarro died in Paris on 13 November 1903 and was buried in Pere Lachaise Cemetery. During his lifetime, Camille Pissarro sold few of his oil paintings. By 2005, however, some of his works were selling in the range of U.S. $2 to 4 million.